It took a lot to find your perfect Home in Puerto Vallarta, so when you are away you need to know that someone is there who can look out for your best interests, keeping your property safe, clean and in top notch pristine condition, whether for rental clients, family, friends or even your own return. 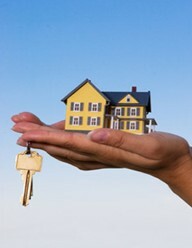 PVConcierge Property Management Service offers first class services at competitive rates. Our staff of professionals in the hospitality and customer service industry know what it takes to maintain your property according to your exacting standards and we guarantee your satisfaction. The list below is an overview of the available services we offer, but it is by no means exhaustive. If you don't see a service listed, please call or contact us via the web to find out how we can help! Please contact us today and we can schedule a walk- through of your property and answer any questions you may have. We look forward to serving your rental property needs.